This one day class is for every skill level. Hand Appliqué Your Way has been designed as an introduction to hand appliqué, including fabric and thread trials with thorough notes. Instruction on the use of many different template materials including foil, cardboard, freezer paper etc. will also be explained. Easy techniques for layering and bias are included. 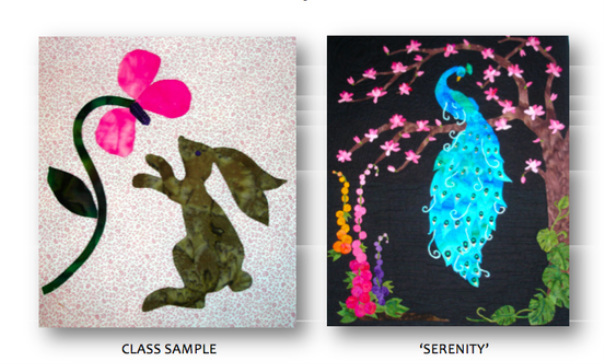 Identical class kits and patterns enable consistent results. Attendees will leave class with a terrific notebook of information as well as their own sample created picture.